A little-known Chinese tech firm has beaten the South Korean giant Samsung in launching the world's first foldable phone — and early reviews suggest it actually works. While Samsung may be hours away from showing the world a foldable Galaxy X smartphone, the Royole Corporation released its FlexPai phone to journalists on Monday. The Verge and Mashable were among those to get hands-on with the device at an event in San Francisco. Both confirmed that the folding technology works, halving the size of the 7.8-inch plastic screen with one 180-degree twist. "Yes, it feels a bit gimmicky, but the FlexPai does actually deliver on its promise of being the 'first foldable smartphone,'" Mashable's Karissa Bell said. But the FlexPai is far from perfect. The device does not fold flat and is quite difficult to hold, Bell said, adding that the plastic display lifted a little over the hinges and made a "crunching sound" while folding. She said Royole told her the issues were "due to the adhesive used in the engineering samples." The Verge's Nick Statt said that when folded, the phone is "bulky" and "feels miles away in quality" from a high-end smartphone. The software, a bespoke version of Android 9.0, seemed "extremely sluggish" and buggy, he added. "This device is very much a first-generation product," Statt concluded. 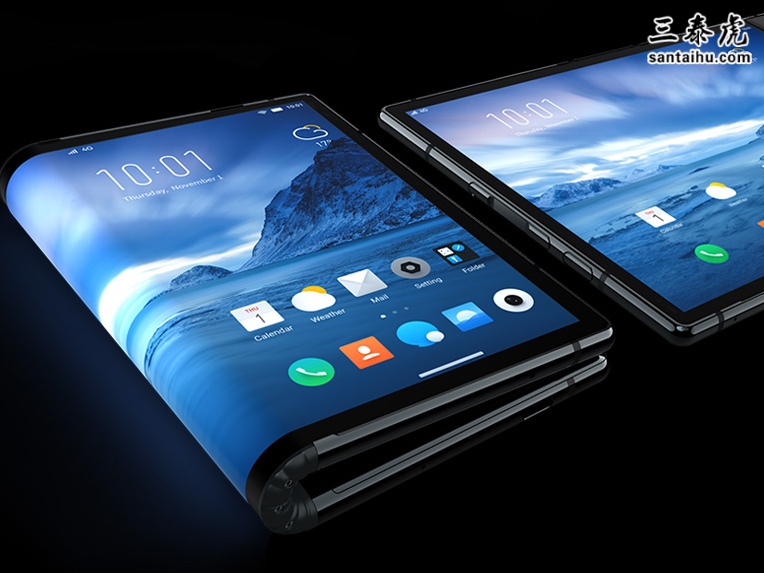 Royole said the foldable phone would go on sale as a consumer device in China in December but in the US would be available only as a developer model, costing $1,318 for 128 GB of storage and $1,469 for 256 GB, according to Mashable.